Almost six years ago Miguel Cotto suffered the first loss of his professional career. It wasn’t just a loss. It was a beating. Antonio Margerito came into the fight as a dangerous fighter than no one wanted to face. He was one of the most avoided fighter’s in boxing and for a very good reason. Cotto, known for not dodging anyone throughout his career, took the fight, and paid dearly for it. Many thought Cotto that after taking a beating like the Cotto would never be the same. They were right. Despite winning his following fight with a TKO win over Michael Jennings he looked average against a game Joshua Clottey just one year after the Margerito loss. Cotto managed to escape with a split decision victory over Clottey but it was a fight that many thought he lost. Six months later Cotto would take on the read hot Manny Pacquiao, only to again suffer a one sided beating. Two beatings like that within a year and a half of each other would make any fighter second guess his career. Critics would say that Cotto was done, fans would advise retirement, and everything about Cotto’s career was in question. Can a fighter take two beatings like that and come back from it? Was Cotto overrated? Should he retire? Miguel Cotto didn’t think twice about it. Instead, Cotto decided that maybe his body wasn’t working with him at 147 anymore and decided to try his luck against WBC light middleweight contender Yuri Foreman, a fight that he dominated seeing him crowned as the new light middleweight champion. But that fight wouldn’t be enough to convince that fans that Cotto was back to the elite level. He would need to do more. 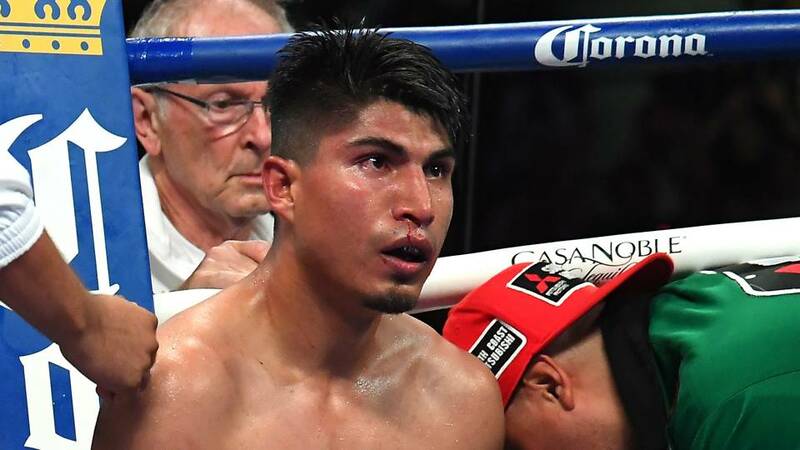 Fighter’s like Miguel Cotto, who have built up a huge fan base over a course of many years, tend to be able to give the fans of sense of hope when winning just one fight, even if he overmatches them. A beating against an evenly matched opponent can be followed up by a win against an over matched opponent and people will still believe in that fighter. That’s what fans believed when it came to Miguel Cotto. He was always exciting to watch and had a huge fanbase which allowed him to get big fights whenever he wanted. Sometimes this isn't a good thing for a fighter who will continue his career for money but take numerous beatings along the way. As Cotto was making his way back to stardom in boxing after two hard losses many thought that this would be the case with Cotto. Along the way though something strange happened. In January of 2009 Antonio Margarito was getting ready to get into the ring to face Shane Mosley. Margarito was hot off the Cotto victory and many though he would overmatch a past prime Mosley. Then the conspiracy hit. Margarito’s trainer was caught putting an odd substance on his hand wraps that later would lead to a one year suspension. The substances were known to form a plaster like padding on the wraps when together after a short period of time. Cotto’s team refused to state that Magerito had used those wraps against him in the prior fight but the speculation from everyone was there. Three years later, and a few trainers laters, Cotto would exact revenge on Margarito putting his career back into focus. He was happy and ready to take on the best. And that he would. Most thought that Cotto was still not the same fighter that he had been coming up in 2008 when many had wanted him to fight Mayweather. Instead, Mayweather-Cotto happened four years later and most thought that the 2012 version of Miguel Cotto would not be able to touch Floyd Mayweather. Turns out, most were wrong. Cotto gave Mayweather one of the toughest fights in his career in an unanimous decision loss. Cotto’s respect grew, and people were still interested to see his next fight and how he would come back from the third loss of his career. This is where trouble would again brew for Miguel Cotto. In December of 2012 he took a tuneup fight against undefeated Austin Trout, but what was supposed to be a comeback fight ended up bing a disaster. Cotto would suffer the fourth loss of his career to Trout in a fight where he looked like he was just going through the motions. He didn’t look like the Miguel Cotto that everyone had come to love nor was it anything like his Mayweather performance. It was the first time he had lost two fights in a row, and for the second time in four years most thought that the wars Miguel Cotto had been in may have been to much on him. Retirement was looming. Instead of retiring, Cotto took some time off to get things together. In the summer of 2013 he would make a shocking announcement on his new trainer saying that he would now be working under the legendary Freddie Roach. Roach’s objective was simple. Do not change anything about Cotto, just bring back the things he has forgotten along the way. In his first fight under Roach against Delvin Rodriguez, Cotto would do something that he hadn’t done in ten years, knock someone out in the first three rounds of the fight. It wasn’t that Rodriguez was a tough opponent expected to trouble Cotto. Cotto was a huge favorite going into the fight. But the way Cotto looked was different. From the first punches he threw against Rodriguez the left hook appeared to be back to it’s 2008 form. Cotto was aggressive, laying into every punch and working the body in a way that seemed to be lost over the past five years. Cotto looked rejuvenated enough so that people began to wonder if Cotto had gotten something back to his name. While talks of facing Saul Canelo Alvarez and Sergio Martinez loomed most expected Cotto would got obliterated by either one. He would get a good payday, lose a big fight, and maybe finally retire. Cotto would pass on Alvarez to face Martinez for the WBC middleweight championship this past weekend, and attempt to be the first ever Puerto Rican to win four world titles in four different weight classes. 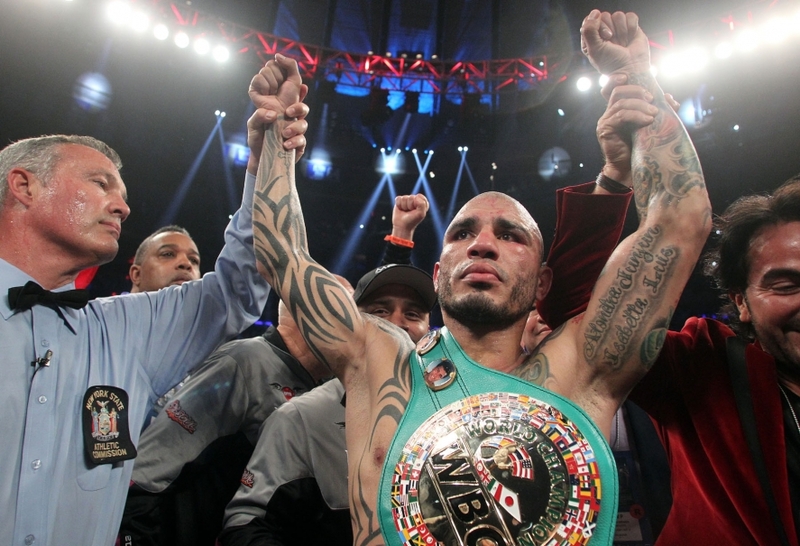 This past weekend, Miguel Cotto rejuvenated his boxing career. Martinez was a 2-1 favorite and appeared to be at the advantage in every fight analysis. His only lingering issue was two knee surgeries that had left people wondering how much he really had left. What no one really knew though was what Miguel Cotto had left. Cotto did something that most did not expect him to do. He dropped Martinez three times in the first round, and went on to win every round until a 10th round TKO stoppage. He looked spectacular in the fight, moving his head, and landing the straight right hand and left hook all night long. He looked comfortable, determined, and everything like the fighter he was in 2008 before the Margarito loss. In fact, he looked better. To make it even more interesting, Team Martinez discredited any knee issues in the fight. Their only excuse was that Miguel Cotto’s left hook dazed Martinez in the first round and Martinez couldn’t recover from it. At 33 years old, and having had a Hall of Fame career already, Cotto looks every bit ready to be fighting for another three to five years. That says a lot about a fighter that twice in his career was beaten to the brink of retirement. Under Freddie Roach, whom Cotto has said he will likely end his career with, Cotto looks like a fighter that is ready for anyone. Most fans were saying that they would love for him to fight Floyd Mayweather again, and that’s not something that is usually said by very critical boxing fans. Also, the win puts him in line to face Saul Canelo Alvarez should Alvarez beat Erislandy Lara next month. And suddenly a fight that would have heavily favored Canelo turn into something doesn’t seem to be the case anymore. Cotto looks like he has a great shot at beating Canelo. Right now, Miguel Cotto is rejuvenated, and the possibilities are endless for the new middleweight champion of the world.